Deficiency judgments sometimes pop up after foreclosure or short sale. Homeowners are often surprised to receive them, and this is usually because they don't get the right legal or tax advice in advance. Deficiency judgments stem from the fact the borrower defaulted on a promissory note, not the mortgage. A promissory note is a promise to pay. It can also create personal liability, depending on state laws. Personal liability means the lender can go after the borrower's assets for failure to pay a loan. A promissory note is secured by either a trust deed or a mortgage, depending on the financing instrument. Typically, the mortgage or trust deed is recorded in the public records where the property is located, which gives the public notice that the home has a lien against it. If a promissory note is not paid as agreed, the beneficiary has the right to foreclose upon the property, because the property is the security for the promissory note. If the borrower does not bring the payments current or pay off the existing loan(s) during the foreclosure period, the property goes to auction. If the property sells for more than the amount that is owed, there is no deficiency; however, that rarely happens. Banks get the property in foreclosure when nobody bids enough to pay off the bank. The bank also has the right to sell it for less to the highest bidder at the auction, but generally, banks prefer to sell to a private party after the foreclosure, hoping to get more money on the open market. While a home is pending foreclosure, the bank may agree to cut its losses. It allows the seller to make a short sale and accepts less money than the seller owes on his loan. The home seller hires a real estate agent to find a buyer for the short sale. The buyer makes an offer and, if the bank accepts it, the home is sold at a loss. A deficiency is a difference between the principal balance due and the amount received, providing the amount received is less than the amount owed. The good news for California borrowers is all purchase-money loans on a one- to four-unit residential dwelling are exempt from deficiency judgments. The lender forecloses under judicial proceedings (California Code Civil. Proc. § 726). Most lenders foreclose through a trustee's sale, which does not give the lender the right to pursue a deficiency judgment with one exception (see second hard-money second mortgages below). 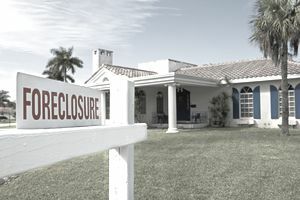 A three-month time limit applies to actions for deficiency judgments under a judicial foreclosure. If the second mortgage is hard money and the lender has lost security for that loan through a foreclosure or short sale -- making the security for the promissory note worth nothing -- the beneficiary of that second mortgage can pursue a deficiency judgment (Roseleaf Corp. v. Chierighino, 59 Cal. 2d 35 (1963). SB 931, effective Jan. 1, 2011, offers deficiency protection to California short sale sellers if the loan is in the first position. It does not apply to foreclosures. Some hard-money lenders sell the promissory note to an investor after foreclosure for pennies on the dollar. Then, the investor will attempt to collect the debt. The lender may ask for a new promissory note to replace the old promissory note. In that event, make sure the lender sends a "paid in full" promissory note. If the lender directs payments to another entity, realize that the note may have been sold at less than its face value and that new lender may accept an even lower amount as payment in full. After the note is paid in its entirety, ask the lender to return the promissory note marked "Paid in Full." I am not licensed to give legal advice and provide this information for general information purposes only. If you desire legal advice or more information, please contact a ​real estate lawyer. Do Banks Make More Money on Foreclosures Than Short Sales?